Located in the eastern Caribbean, the island is renowned for its stunning beaches, verdant rainforest, reef diving sites, as well as its dramatic waterfalls. 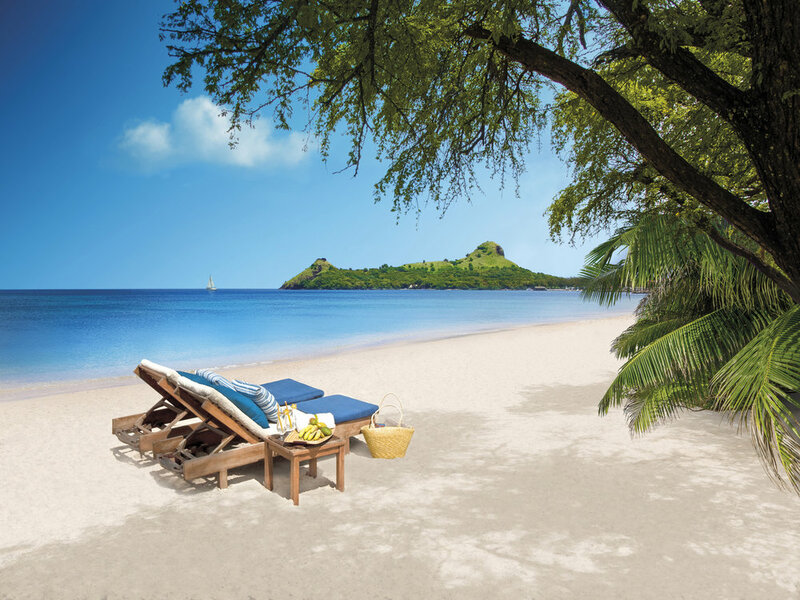 A St Lucia holiday is guaranteed to leave you revitalised and refreshed, whether you choose to visit the vibrant all-inclusive resorts, or opt for a more intimate boutique hotel, you can really make your holiday your own. 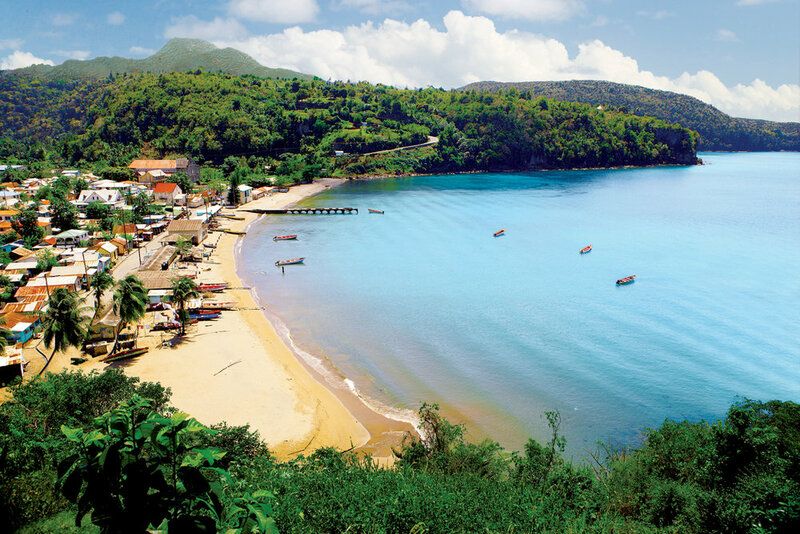 Enjoy exploring the island from its bustle of street markets, and vibrancy of the jazz music and carnival scene, to the peace and tranquillity found on one of the many beaches that compose St Lucia's 98 mile long coastline. Once you arrive on St Lucia island, you’ll immediately notice how green and lush it is. Also known as the Helen of the West, the 238-square-mile island is dotted by protected parklands that preserve its exotic foliage, which serves as home to parrots, wild birds and a range of four-legged critters that prefer to hide away from people! St Lucia is similar to nearby Dominica in its mountainous, volcanic appearance and its most widely known landmarks are Les Pitons, beautiful UNESCO World Heritage twin mountain peaks that drop dramatically to the water's edge near Anse des Pitons on the island's west coast. While St Lucia Island has been occupied by a number of European invaders, it’s the influence of the French that is still most evident today; the names of its cities, towns and bays, in the architecture and in the French-inflected patois spoken by islanders here. In the main hotels and resorts however, you won’t need to brush up on your French- you’ll find most speak English. Another thing to do in St Lucia is to visit the Sulphur Springs Volcano, where visitors can get up close to bubbling pools of lava and steaming sulfurous. You can also pay a visit to popular Diamond Waterfall and Mineral Baths, where you’ll be able to splash in the sulphur-infused waters or keep dry and take pictures of the lovely falls. 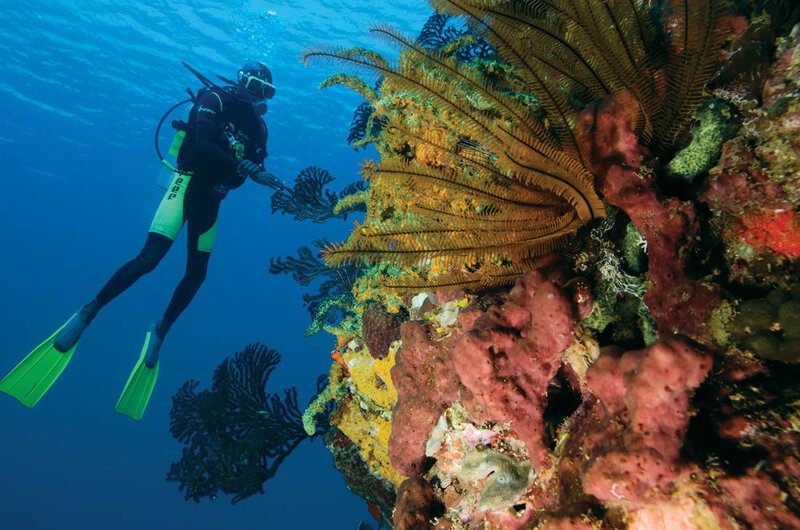 Nearly every type of water sport is on offer in St Lucia, including water skiing, snorkeling, windsurfing plus many more! Operations are run either by hotels or local operators; speak to your accommodation for locally recommended operators for the best experience. Diving is a very popular for visitors, and the west coast is usually the area of choice thanks to its calmer waters; this suits most visitors well as the chances are you will be staying on the west coast- simply as this is where you’ll find most hotels. Long drives on the island are part of the deal with a St. Lucia holiday; the roads do not provide quick, direct access from Vigie or Hewanorra airports, located at either end of the island- so prepare your patience. On days when cruise ships arrive on the island, do your best to avoid Castries; the streets are narrow and don’t cope well with the masses of people! Any local or your hotel will be able to advise on these days, and when best to visit. Holiday-makers who want to experience an exotic Caribbean island with many of the modern conveniences of home will find St. Lucia to create the perfect holiday.